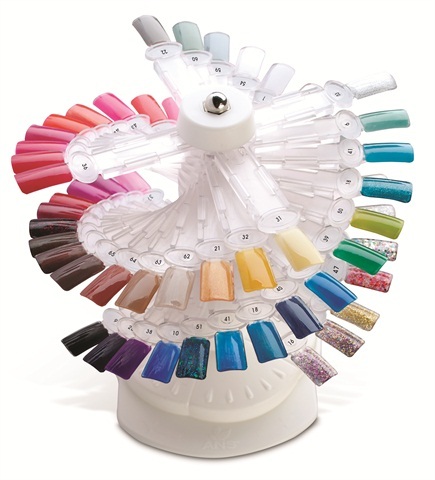 Alfalfa’s Geluv Color Palette Tree is a great way to get organized and put your polish collection on display. Nail techs can paint each of the tree’s 60 removable tips in different shades for a more compact and stylish way to let clients browse their choices. The Color Palette Tree serves a variety of functions, whether you need to make space, reduce inventory, or prevent polish theft. Clients will be able to see a polish’s true color without color testing on themselves. When they’ve made a choice, simply remove the tip from the tree and pull the matching shade from the polish rack or storage room. Arranging the tips by color also has the potential to reduce the overall service time.